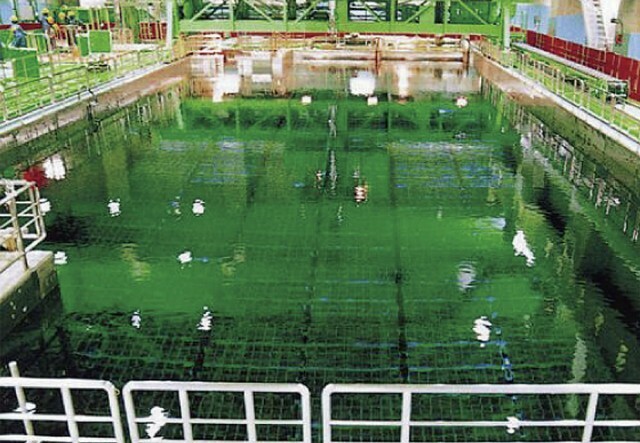 TEPCO began emptying common pool fuel to the cask storage field and unit 4 spent fuel to the common pool in late 2013. The most recent report on the status of this can be found here. *TEPCO has been removing fuel from the pool to a cask storage facility built up on the hill. The common or shared pool and current cask storage are part of TEPCO’s pre-disaster fuel management plan. 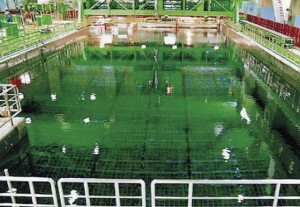 The common pool holds much of the overflow spent fuel inventory from units 1-6 at Fukushima Daiichi. As part of TEPCO’s roadmap they intend to make changes to the common pool so damaged fuel may be inspected and stored separately from intact fuel assemblies. (This will include adding a bulkhead wall to separate the two.) The bulkhead plan was scrapped in 2012-2013 in favor of removing fuel from the common pool to cask storage to make room. TEPCO began moving fuel into the cask bunkers in 2012. They have not been clear about how many of these casks will be transferred to the bunkers. Fuel from the common pool has been loaded into casks and sent to the bunkers up on the hill. As they need to make room in the common pool older fuel can be put into casks and moved to new bunker storage. seen to the right. holds a small number of casks. As of 2014 the Cask Storage Building has been emptied of all casks. The cask storage building holds a small number of casks and resides near the docks. Casks are intended to then be shipped out to France or the UK for reprocessing rather than for long term storage. With the disaster at the plant and Japan’s fuel reprocessing plan now up in the air, no fuel is being shipped out of Japan. 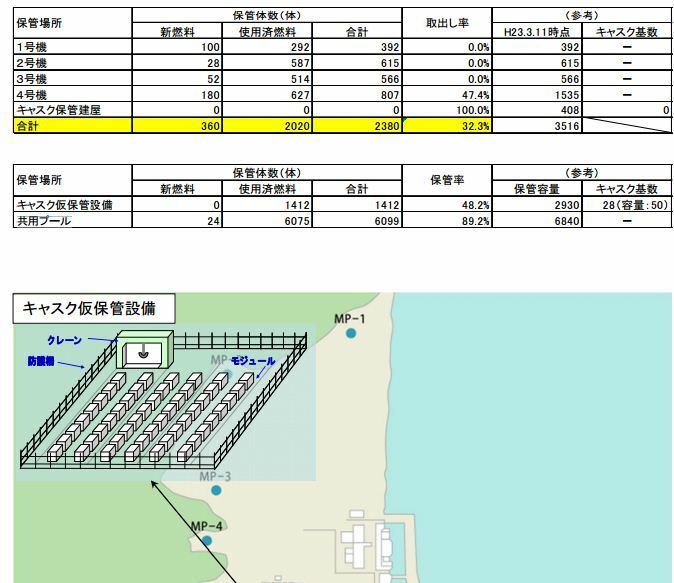 An interim fuel storage center at Rokkasho has been in the works but was dependent on the completion of a fuel reprocessing facility there. Local agreements tied the two together. 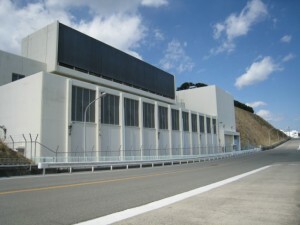 Considerable local backlash resulted when the central government suggested ending the reprocessing factory but keeping the fuel storage in Rokkasho. Locals demanded all the fuel casks be sent back to their original location but that has not happened to date. As of April 2014 this was the count of spent fuel in each reactor, the bottom table lists the cask facility on the hill, then the common pool. The line in the top table with all zeros is the emptied old cask building.